After 3 consecutive rain-outs, Residential Housing Association (RHA) finally had bright and sunny skies Tuesday, August 22 for their annual Aggiefest program which welcomes students back to campus during Howdy Week. There were games, inflatables, live DJ, food from local vendors, drinks, and free t-shirts available! 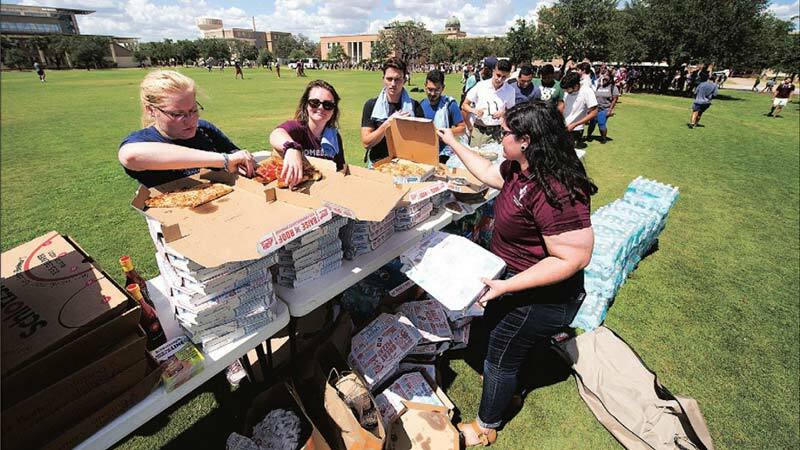 While the almost 300 t-shirts lasted only 15 minutes, there was a steady line for food wrapping around Simpson Drill Field until the food ran out at 4:30pm. There were over 2,000 students who attended this year’s Aggiefest! WHOOP!